Ovulation occurs when a mature egg is released from the ovary, and travels down the fallopian tube, towards the uterus. The lining of the uterus has been thickening in preparation for the fertilised egg, so if you don’t get pregnant, you’ll end up menstruating 12 to 16 days later, regardless of the length of your cycle. Another method is to check your cervix, which will be firm and low during the first half of your cycle, and then start to lengthen, soften and open up as you’re approaching ovulation. Check your cervix daily and you may be able to detect these changes, which gives you even more clues to your peak fertility time. 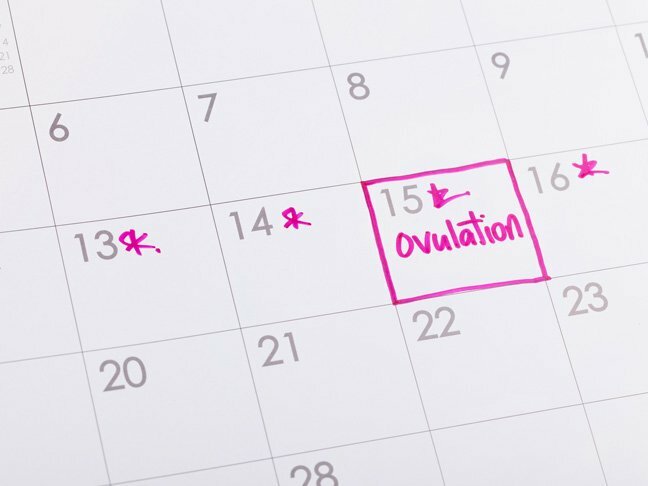 You may also want to use ovulation tracker apps like Fertility Friend or Kindara, which can help you keep all of this info organised in one place.